Doing qualitative research for one's thesis requires a conscious, internal awareness within the external structural, political, and human context of higher education. This book is the result of a desire to fill a void that had not yet been addressed in a text format--the needs and confusions of the doctoral student selecting qualitative methodologies for his/her dissertation research. 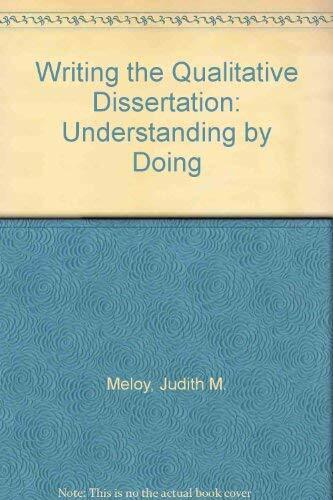 Twenty individuals--from a range of disciplines including communication, sociology, nursing, and education--corresponded with the author about the structure and format of their "qualitative" dissertations. Their reflections describe some of the interactions and sources of ambiguity that are a part of the process of qualitative research and hence of concern to doctoral students choosing such methodologies for their thesis research. Their questions, concerns, and ideas highlight the complexity of the concept of the researcher as the human instrument. Although many "how to" books already exist, this is the first one that explicates the feelings, meanings, and concerns of those who have been through it. Conceptions about the "whole" of a research project, committee-student interaction, and learning by doing are foundational to this volume. * chapters featuring one or more sets of "questions" meant to serve as a possible guide to decision making and subsequent action for those to whom they may not have occurred.